Want to learn something new? Develop skills? Go somewhere different? Based in Edinburgh, UK I can offer both instruction and guided mountaineering and climbing near Edinburgh, the Southern Highlands and further afield in Northumberland, Glencoe, Cairngorms, Skye and Lakeland. Drop me an email for information. Beginners, improvers, coaching, trad and sport. Guided or instructional days out winter climbing. 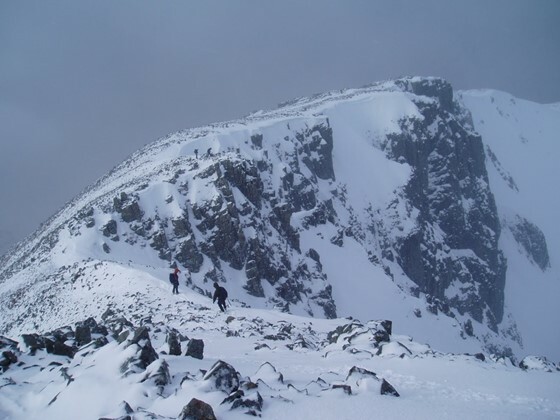 Climb the mountain of your choice and experience the Scottish mountains in winter and learn some skills on the way.